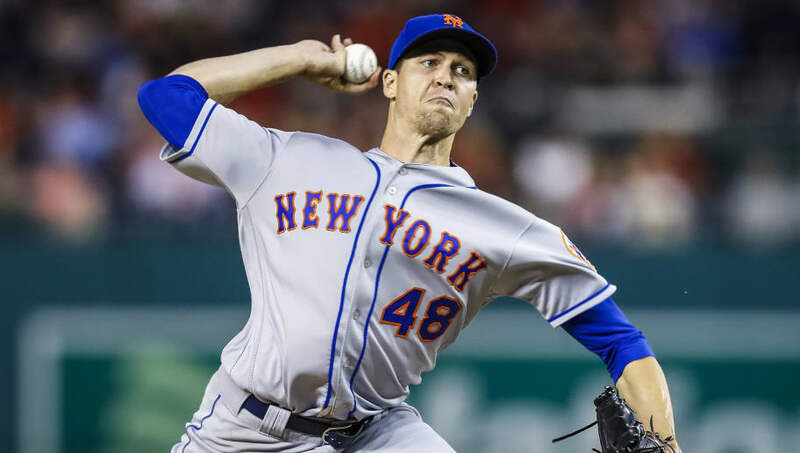 ​The ​New York Mets have avoided arbitration by signing reigning NL Cy Young award winner Jacob deGrom to a record one-year, $17 million deal, a record salary for a player entering his final year of team control. The news comes courtesy of Mike Puma, Mets beat reporter for the New York Post. DeGrom gets $17 million from Mets and avoids arbitration. Record raise in arbitration history. He earned $7.4 million last season. The notorious JdG also set an MLB record for the highest single-season raise in arbitration-era history after earning just $7.4 million last season. The ​Mets right-hander finished with one of the best seasons in recent pitching memory in 2018. He gave up no more than three runs in any his last 29 starts to extend his own single-season record. The two-time All-Star finished his Cy Young campaign having pitched 217 innings with a league-best 1.70 ERA, becoming one of only seven pitchers since 1933 to post a 1.70 ERA or better throwing 215 innings or more. He also joins Doc Gooden and Zack Grienke as one of three pitchers to start 30 games and finish with a 1.70 ERA or lower since lowering the mound in 1969. Safe to say that deGrom's record raise was well deserved; and an extension for the Mets ace will likely be to the tune of five years, $30-plus million annually. Back up the Brinks truck.